Your credit score has a larger impact on your potential loans than your income does. It can mean the difference between another year of renting a broke down apartment with no A/C and finally buying the house you’ve always dreamed of. As mysterious as the FICO score can be, you shouldn’t let it get the best of you. 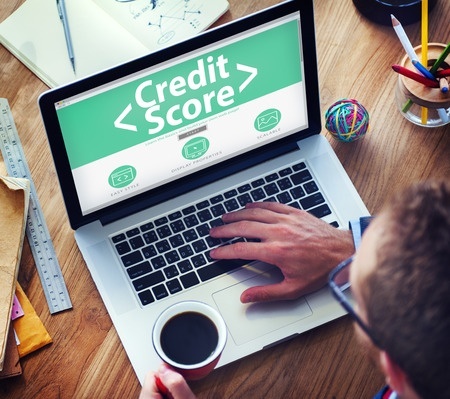 Your credit score paints an overall financial picture for lenders. It shows all the financial decisions you’ve made, interpreted into three digits. The higher your score is, the more likely you are to receive a loan. That high number tells lenders that you pay your debts on time. That being said, the lower your number is, the less likely a borrower is to lend you money. Generally speaking, your payment history and the amount you owe have the largest impact on your score. They collectively make up about 65% of it. The length of time you’ve had credit, new credit and types of credit are weighted less than the initial factors, making up 35% of your score. While these percentages can differ for certain borrowers, it’s a generalized rule of thumb. There is no steadfast rule on what your credit should look like when buying a home. You are more desirable if your score is 660 or above, and are looking at higher chances of receiving reasonable rates. However, if your credit score is below that, you’re facing what’s called a “subprime mortgage” where mortgage lenders look at other factors to override your low credit score. While that’s not going to ruin your chances of purchasing a home, it will certainly make it harder on you and you’ll be looking at higher interest rates. 700-760 – You could be looking at an increase of about 0.25% interest higher than the market low. 660-669 – The rate could be up to 0.5% higher than the lowest available. 620-660 – Be prepared to face 1.5% higher interest than market rate. 580-620 – You are likely facing anywhere between 2-4% higher than the lowest available rate. Anything under 580 is not advised, as you will be paying very high interest rates and it’s best for you to focus your finances on raising your credit score before you buy a home. A score below 660 can make purchasing a home significantly more expensive, depending on the financial picture you provide. It is best to look at all your options before being discouraged, there are many simple ways to boost your credit score.